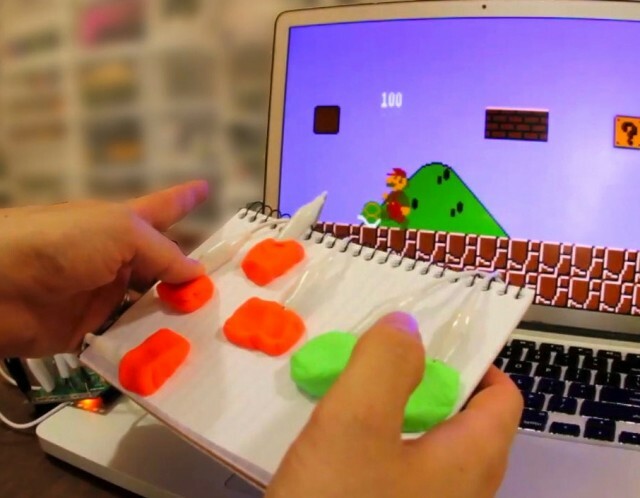 Makey Makey is an easy to use kit for converting everyday objects into computer input devices (video). Bananas, Play Doh, people, and other conductive objects can be connected to the Makey Makey board via alligator clips. Once connected, the objects become touch sensitive and can be used to do anything a keyboard or mouse can do. 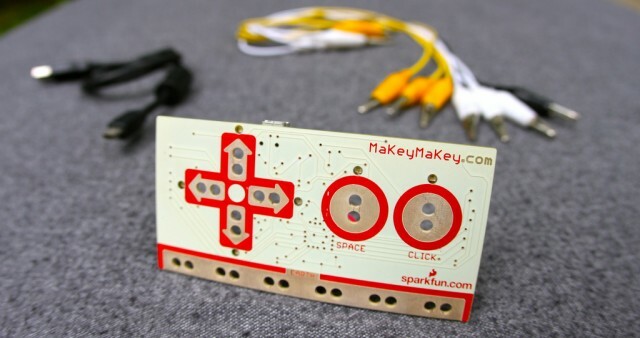 Makey Makey was developed by MIT Media Lab students Jay Silver and Eric Rosenbaum. They are now raising funds on Kickstarter in order to mass produce Makey Makey.